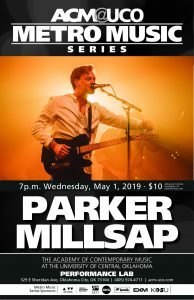 Oklahoma native Parker Millsap has quickly made a name for himself with his captivating live performances, soulful sound and character-driven songwriting. He performs 7 p.m. May 1 at ACM@UCO Performance Lab, 329 E. Sheridan Ave., in Oklahoma City. 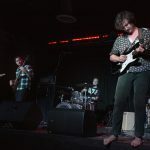 The event is part of the Academy of Contemporary Music at the University of Central Oklahoma’s (ACM@UCO) continuing Metro Music Series celebrating the school’s 10th anniversary. Tickets are $10, and go on sale to the public 10 a.m. CT Friday, Jan. 18 at acm-uco.eventbrite.com. 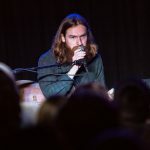 Millsap has had a string of highlights in recent years: A network television debut on “Conan,” a performance with Elton John at Apple Music Festival in London, an Austin City Limits taping and an Album of the Year nomination from the Americana Music Association. 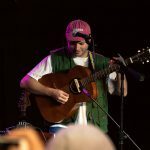 He has also received praise from The New York Times, The Boston Globe, LA Times, The Austin Chronicle and Rolling Stone to name a few. He first picked up an acoustic guitar at age 9, then plugged in and went electric after getting into Eric Clapton and Stevie Ray Vaughan. 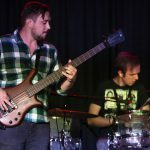 Millsap eventually started a cover band with classmate Michael Rose, who still plays bass with him today. 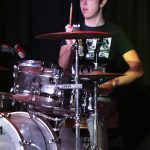 Over the years, he recruited musicians Daniel Foulks (fiddle) and Andrew Bones (drums) to join his band. 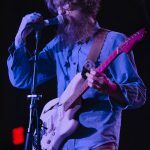 Parker’s first three full-length releases — 2012’s “Palisade,” 2014’s self-titled LP and 2016’s “The Very Last Day” — showcased a primal mastery of acoustic folk rock, with their flourish for revelation and fiery dynamics all recorded with extreme precision, purpose and efficiency. ACM@UCO’s Metro Music Series is sponsored by Oklahoma Gazette, Exchange Music, KOSU Radio, Love’s Travel Stops & Country Stores, and the Oklahoma Arts Council, which receives support from the State of Oklahoma and the National Endowment for the Arts’ Art Works initiative. In a multi-act event promoting storytelling and its various forms, the Academy of Contemporary Music at the University of Central Oklahoma (ACM@UCO) presents Literati Variety Show, 7 p.m. Feb. 9 at ACM@UCO Performance Lab, 329 E. Sheridan Ave., in Oklahoma City. Admission is free. The Feb. 9 event is presented by ACM@UCO as part of its Metro Music Series celebrating the school’s 10th anniversary. Martin hosts the show, where he’ll introduce a music and literary pairing by hip-hop act Original Flow and The Fervent Route; a conversation with George Lang, editor-in-chief of Oklahoma Gazette; Heath Huffman, Public Access comedian of note; authors Holly Sampson Hall and Jeremy Hall with a performance reading of “The Most Wonderful Wonder”; and Molly O’Connor, founder of OKC StorySlam. 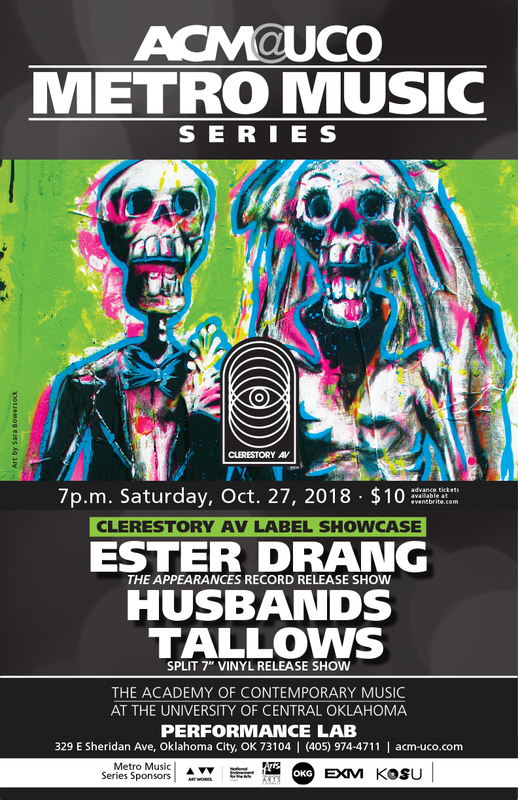 The show is co-organized by longtime local artist, Oklahoma City Arts Commissioner and Istvan Art owner and manager Stephen Kovash. Speaking recently to Oklahoma Gazette, Kovash said one of his goals with this show is to establish a new artistic family in the metro. O’Connor is an Oklahoma City-based multi-disciplinary artist and cultural worker. Her creative and artistic practices include visual art, creative writing, original solo performance work and storytelling. 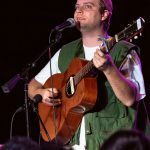 In 2005, O’Connor founded OKC StorySlam, a monthly, competitive open-mic storytelling event influenced by “The Moth Radio Hour” and podcast. Holly Samson Hall and Jeremy Hall write and perform dark folk music as Welcome Little Stranger. Creators of “The Most Wonderful Wonder” podcast, the Halls explore tragedy, folklore and strange, true tales from the back pages of American history. Huffman is a stand-up comic born and raised in Oklahoma City. He tells jokes that highlight the absurdity of working out, the quirkiness of his religious upbringing and the peculiar world of cheap Italian food. He also hosts two podcasts — Christian music review show “The Praisedown” with Heath and Alex, and comic book narration show “Paneled,” both of which some people (not him) think are very good. Lang is a journalist who has worked for Oklahoma Gazette multiple times since 1994. He returned as its editor-in-chief in 2017. In the interim, he also wrote for The Oklahoman. 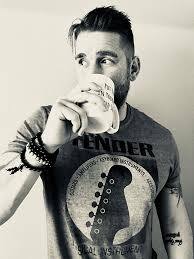 While there, he became its assistant entertainment editor, interviewing about 95 percent of film industry’s A-listers and hosting an award-winning video series about local musicians, “Static.” He hosts “Spy 101” radio show 8 p.m. Saturdays on The Spy (KOSU) and he teaches at ACM@UCO. 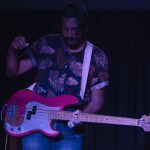 Oklahoma City-based music act Original Flow & The Fervent Route mixes high-octane lyrical content with live instrumentation and old-school hip-hop delivery. It also includes ACM@UCO alumni. The 2018-2019 school year marks ACM@UCO’s tenth anniversary. To celebrate, it expanded its long-running Metro Music Festival into a yearlong event. 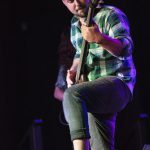 The revamped Metro Music Series includes the High Noon Showcase, presenting free shows by ACM@UCO-tied music acts and tastemakers; its ACM@UCO Performance Lab series by regional and national touring acts; and a growing roster of masterclasses, clinics and workshops with industry leaders, many of which are open to students and the public. 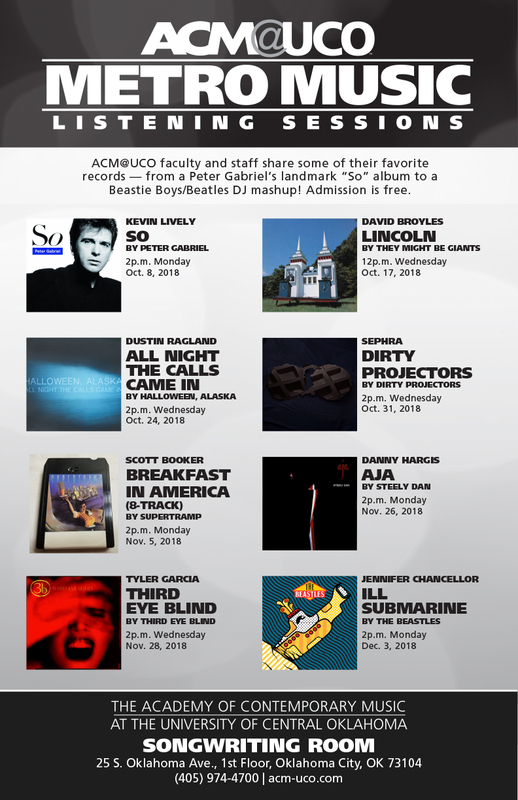 Find more info about Metro Music Series events at acm-uco.eventbrite.com. For more information about ACM@UCO, visit acm.uco.edu. 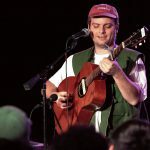 Indie musician Mac DeMarco performed Nov. 1, 2018, to a sold-out audience at ACM@UCO Performance Lab in Oklahoma City, Oklahoma. 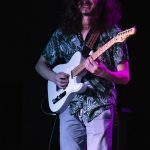 ACM@UCO-tied act Leotie, aka singer-songwriter Caleb Starr, opened the ACM@UCO Metro Music Series event. Check out upcoming ACM@UCO Metro Music Series shows at acm-uco.eventbrite.com! ACM@UCO’s Metro Music Series is sponsored by Oklahoma Gazette, Exchange Music, KOSU Radio, ArtWorks, the National Endowment for the Arts and the Oklahoma Arts Council. 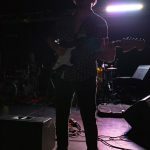 For more information about the Academy of Contemporary Music at the University of Central Oklahoma, visit acm.uco.edu. 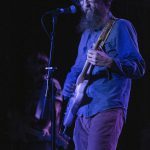 Maps & Atlases performed Nov. 1, 2018 at ACM@UCO Performance Lab in Oklahoma City, Oklahoma. ACM@UCO-tied band Magic Munchbox opened the ACM@UCO Metro Music Series event. In the brooding-yet-playful vein of Talking Heads or Peter Gabriel, Maps embraces the paradox of what it is to be human — constantly searching and, forever unsatiated, returning with everlasting hope to the ever-darkening fray. The deceptively upbeat “Lightlessness is Nothing New” unveils a gorgeous, complex, slightly skewed take on pop music. 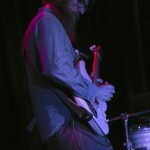 Oklahoma City experimental funk-rock quartet Magic Munchbox opens for national touring act Maps & Atlases Nov. 1, 2018 at ACM@UCO Performance Lab in Oklahoma City. 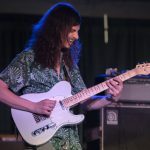 The ACM@UCO-tied band includes a student and alumnus in its lineup: Gilson Machtolff on guitar, skeeter on guitar, Michael Vaughan on bass and Robby Andersen on drums. 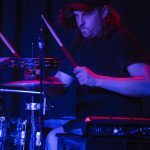 In October, musician and singer-songwriter JD McPherson led an ACM@UCO masterclass at the school’s Bricktown campus with Scott Booker, ACM executive director, in conjunction with the Oklahoma Film + Music Office as part of the ACM@UCO Metro Music Series. 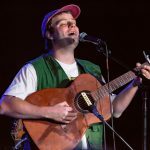 He takes his critically acclaimed new holiday album, Socks, on tour and performs Dec. 14 at Tower Theatre in Oklahoma City. JD McPherson never thought he’d make a Christmas album. Then, he says, “I got a bug in my ear.” He and his band perform live in studio from Socks, and McPherson talks about growing up on a cattle farm. Read more and hear the full interview and studio performance on NPR. 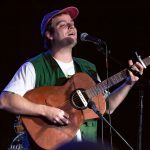 The roots-rocking singer-songwriter from Broken Arrow, Oklahoma, has put together the kind of holiday album that Louis Prima or Roy Brown would have if they’d ever gotten around to it, and thank Santa for that. It’s an utter joy, a vintage jump-blues/R&B/rockabilly workout devoid of treacly sentiment, but brimming over with child-like spirit — and just enough grown-up skepticism (“Bad Kid,” the title track) to keep things anchored in reality. He’s written or co-written 11 originals that bring welcome fresh blood into the holiday music canon. Producing the album themselves, he and the band also zero in on a perfectly period musical and sonic vibe for this outing. Read more from the Los Angeles Times. McPherson said recording a Christmas album inspired him to return to the ’50s style that characterized his debut album, Signs & Signifiers. Read more from Oklahoma Gazette. 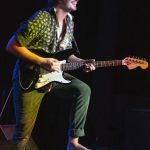 Throughout Socks, McPherson’s impressive garage-rock guitarwork channels classic R&B, rock, blues and rockabilly with snappy, growling riffs (“Bad Kid”), slinky, reverb-drenched passages (“Holly, Carol, Candy & Joy”) and smooth, jazzy shuffles (“Ugly Sweater Blues”). 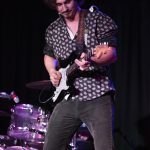 Along the way, he’s pitch-perfectly backed by his four-piece band of Jimmy Sutton on bass, Raynier Jacob Jacildo on keys, Jason Smay on drums, and Doug Corcoran on saxophone, steel guitar and glockenspiel. Chicago-raised artist Noname, aka Fatimah Warner, blurs the lines of poetry and hip-hop through the music she’ll perform during her headlining tour stop March 3, 2019 at ACM@UCO Performance Lab, 329 E. Sheridan Ave., in Oklahoma City. 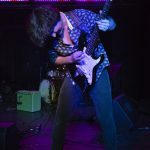 Check out her first-ever video, “Blaxploitation,” from her recent release “Room 25” and the related article in Rolling Stone. The March 3 concert is part of the Academy of Contemporary Music at the University of Central Oklahoma’s (ACM@UCO) continuing Metro Music Series celebrating the school’s 10th anniversary. Tickets are $25 at acm-uco.eventbrite.com. Original Flow and The Fervent route will open. In 2016, her debut album, the “Telefone” mixtape, found the artist introducing herself to a worldwide audience. Describing the project as “an introductory conversation with someone you’re interested in,” she quickly earned everyone’s attention. In September 2018, her full-length studio album “Room 25” was again received with universal acclaim. She grew up in Bronzeville, a historic neighborhood on Chicago’s southside that has famously attracted accomplished black artists and intellectuals of all types. After releasing “Telefone,” she relocated to Los Angeles, where she’s said she prefers live comedy to high-dollar indulgence. 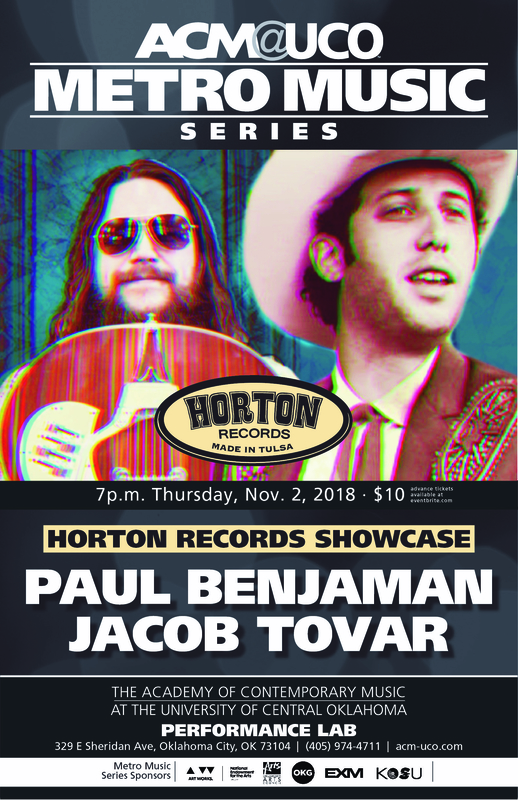 In a showcase sure to move country, rock, Americana and Southern rock fans alike, Paul Benjaman and Jacob Tovar co-headline a concert 7 p.m. Nov. 2 at ACM@UCO Performance Lab, 329 E. Sheridan Ave., in Bricktown. 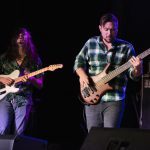 Friday’s show also features special guest and acclaimed keyboardist, pianist and singer-songwriter John Fullbright playing keys with Benjaman and Tovar during their sets. 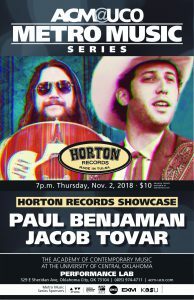 The Grammy-nominated Americana musician joins the Horton Records music showcase in between tour dates. 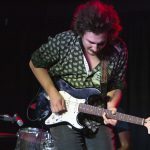 Paul Benjaman’s distinctive, groove-based songs meld both the American swagger and the lyrical songwriting prowess of artists like Leon Russell, JJ Cale, Wilco, Warren Zevon and Little Feat. Similarly, Horton Records labelmate Jacob Tovar evokes the wry wit of Buck Owens or C.W. McCall and a Southern-rock tinged amalgam of both Hank Williams Sr. and Jr. The concert is part of the Academy of Contemporary Music at the University of Central Oklahoma’s (ACM@UCO) continuing Metro Music Series celebrating the school’s 10th anniversary. Tickets are $10, available at eventbrite.com. 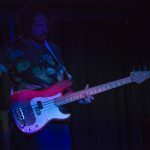 “Play It Loud,” an original music series that follows award-winning Oklahoma independent filmmaker Adam Hampton as he explores the state’s vibrant music scene, features well-known one-man band Mike Hosty in the first episode of its second season. 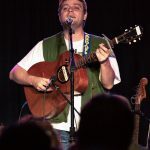 The installment opens with Hosty performing his signature song “Oklahoma Breakdown,” which red dirt music star Stoney LaRue is known for covering. Complete with kazoo solo, naturally. 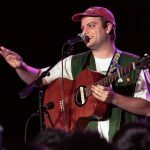 The 22-minute showcase also includes an interview in which the self-described platypus talks about music, standup comedy, childhood inspiration and more. Hampton quotes both the Bible and Frank Zappa in this episode, and it doesn’t seem at all weird given we’re talking about Hosty here. 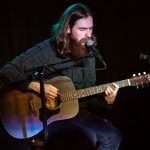 Each approximately 20-minute installment of “Play It Loud,” presented by Shawnee’s Grand Casino Hotel & Resort, features an intimate interview and performance by an Oklahoma musician. Read more from McDonnell’s story at NewsOK.com. “In each episode, I speak with each artist and try to capture in our discussion some part of who they are, what they’ve been through or what they’re wanting to say. We also have them play an acoustic performance, and we have them play with a full band on the Play It Loud stage at the Grand. Read more from that season one interview at potawatomi.org. Learn more about the “Play It Loud” series at grandresortok.com/playitloud. The 2018-2019 school year marks ACM@UCO’s tenth anniversary! To celebrate, it expanded its long-running Metro Music Festival into a yearlong event. 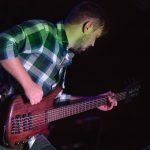 The revamped Metro Music Series includes the High Noon Showcase, presenting free shows by ACM@UCO-tied music acts and tastemakers; its ACM@UCO Performance Lab series by regional and national touring acts; and a growing roster of masterclasses, clinics and workshops with industry leaders, many of which are open to students and the public. Stay tuned to ACM@UCO on Facebook, Twitter and Instagram for updates and announcements about even more concerts and events! 329 E. Sheridan Ave., in Bricktown. 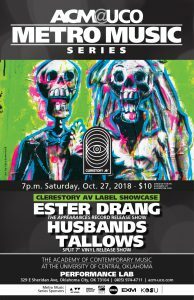 Ester Drang, Husbands and Tallows perform Oct. 27 at ACM@UCO Performance Lab, 329 E. Sheridan Ave., in Bricktown. ACM@UCO Songwriting Room, 25 S. Oklahoma Ave. (first floor), in Bricktown. All shows begin at 12:15 p.m.
ACM@UCO, 25 S. Oklahoma Ave. (first floor), in Bricktown. Public welcome unless otherwise noted. ACM@UCO Metro Music Series Listening Sessions are free and open to the public. • Oct. 26:9:30-11:30 a.m.: Artist + Management Partnerships: A conversation with JD McPherson and Scott Booker! Admission is free and open to the public. The event is a partnership of the Oklahoma Film + Music Office and ACM@UCO. Live electronic music, open seating, free pizza — what more could anyone want? A Halloween theme, you say? Done! 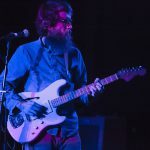 Electric Pizza is the University of Central Oklahoma’s newest concert series, showcasing new, original compositions by University of Central Oklahoma graduate students. 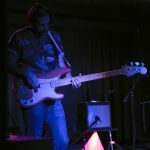 Power Cycle headlines its Oct. 8, Halloween-themed showcase with UCO graduate students Jonathon Edwards, Breck McGough and Santiago Ramones. 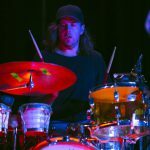 Ramones is a 2017 ACM@UCO alumnus. Showtime is 7:30 p.m. Monday, Oct. 8 at the University of Central Oklahoma Jazz Lab, 100 E. Fifth St., in Edmond. Public welcome. Free admission. 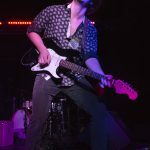 The Electric Pizza concert series continues 7: 30 p.m. Nov. 4. Shows are also live-streamed on UCO Jazz Lab’s Facebook page.